Sinn Fein Finance Spokesperson Pearse Doherty TD has strongly criticised the Government’s plan for an inquiry into the GSOC controversy but said it is not too late for it to establish one that is truly independent. The Donegal South-West TD made the comments while speaking in the Dáil tonight during the debate on a Sinn Féin PMB motion calling for a fully independent inquiry into the matter. “Every TD and political party should be screaming for a full and independent investigation into this incident. “The government’s plan smacks of a desperate attempt at damage limitation and does and will not address the concerns of the public. 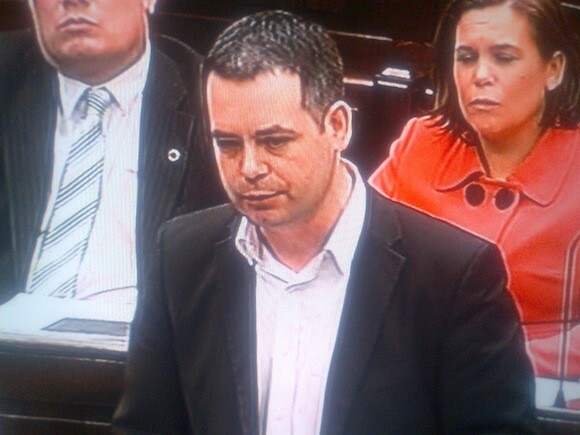 “It was wrong of Minister Shatter to try to turn this incident on its head and put GSOC in the dock. Entrusting the Minister to set the terms of reference means that the enquiry will do nothing to restore public confidence. “This crisis could be an opportunity to make a break from past bad habits and to move our society and police force into a more modern transparent era. Instead the conservative instinct of this government has won out and no questions are to be asked without prior approval. “It is not too late for this government to bring about a truly independent enquiry that will be about getting to the truth and not about getting over this weeks’ political crisis for them. The public are not going to settle for a cop-out- they demand an independent inquiry into the affair. “The GSOC was established following the Morris tribunal in my home county of Donegal. This is the context in which the Garda Síochána Act, the GSOC and the Garda Síochána Inspectorate were introduced.